Devoted Miu Miu fans will recognize this jacket from the Resort '19 show, where it was modeled by Chloë Sevigny and styled with matching micro shorts and a floral blouse. 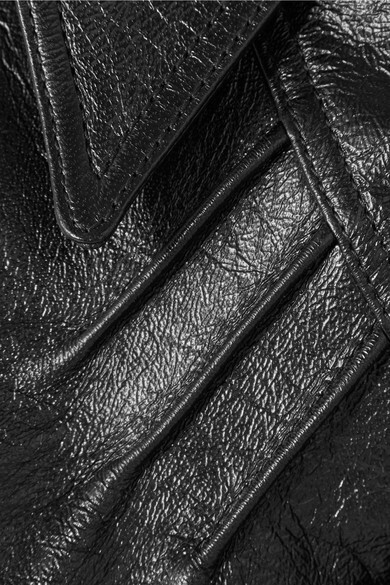 It's made from black glossed-leather that'll wear really well. 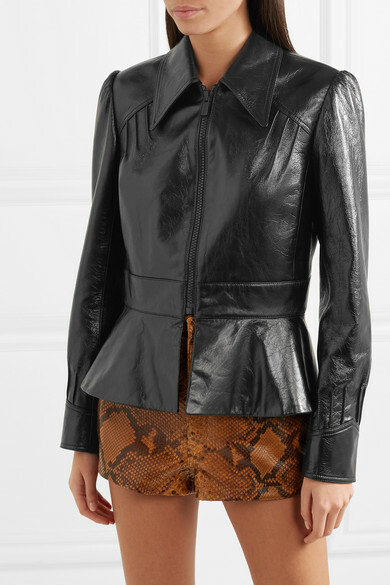 The puffed shoulders and peplum waist emphasize the nipped-in silhouette when the front zip is fully fastened up. Shown here with: Saint Laurent Shorts, Carolina Santo Domingo Shoulder bag, Miu Miu Mules.